Where My Heart Lives...: Makin' Out Like Bandits! wow, I guess I need to joing their birthday club, eh? Such a great birthday gift. I love good barbeque, however have given up having birthdays. The Medicare card blew me away! Check my blog again folks. 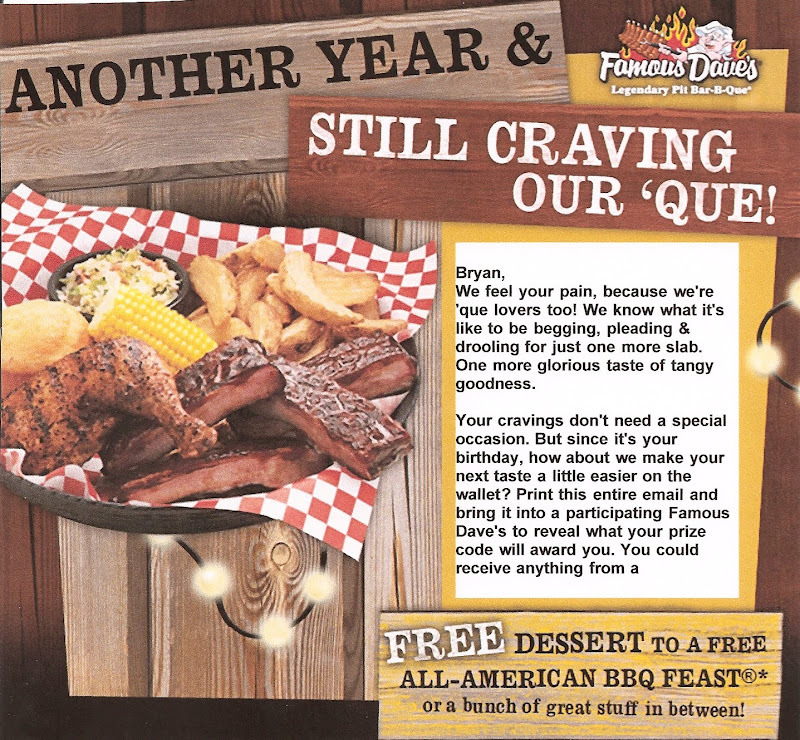 I heard from "the man" at Famous Dave's this morning. He asked if I would add a link to my post so you all could join the P.I.G. Club too! I said, "Sure, any friend of mine should be a friend of Dave's!" Is it too late for Bday? 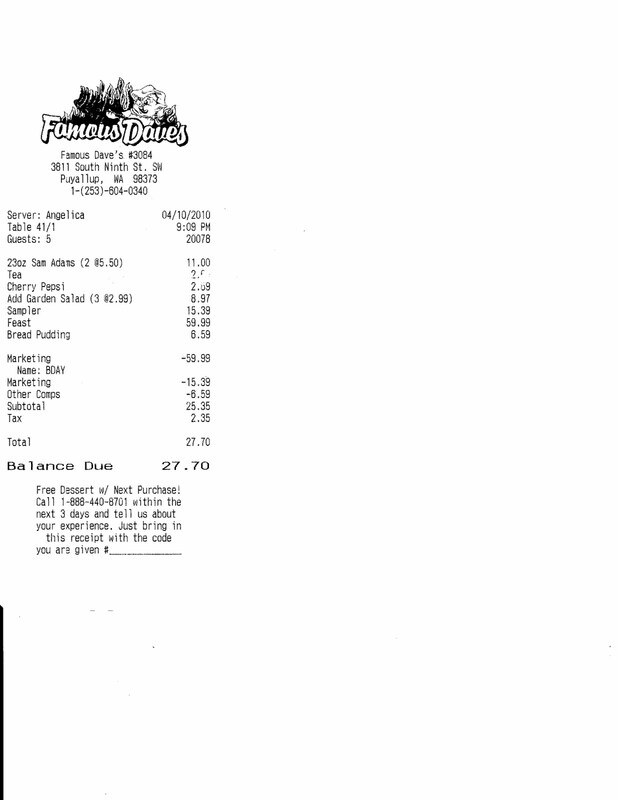 Yeah, coupons always make a server sweat about the tip.... good of you to take care of her. Happy Birthday.